The What: If the words, “What did I just watch?” happen to slip out after you’ve watched Langhorne Slim’s new video for his single, “Zombie,” no one around here is going to judge. But the fact is nothing says “Halloween” like romancing the undead! Filmed in Nashville, TN and directed by Joshua Shoemaker, here have a charming little sound and picture show where – taking his cues from the likes of horror staples like Scream, Psycho, The Blair Witch Project and The Shining – Langhorne spins his Americana folk into an atypical lore of love. It’s just one of the 13 songs on his upcoming album Lost at Last Vol. 1 due out on November 1st. 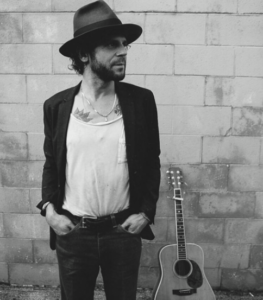 The Where: Find out about all things Langhorne Slim via the usual suspects such as his official website, Facebook page and at @LanghorneSlim on Twitter.